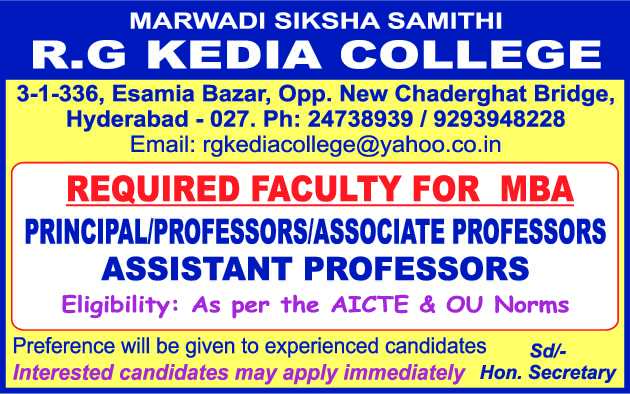 for Professor / Associate Professor / Assistant Professor / Principal Vacancies. 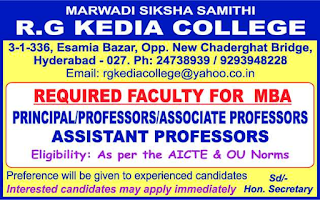 Further details refer the official website for http://www.rgkediacollege.com/CollegeProfile.html of R.G. Kedia Degree & P.G. College Recruitment 2019. Salary, Application Procedure, Qualification, Email-id, Postal address details are given below. R.G. Kedia Degree & P.G. College. Starting date to apply for Professor / Associate Professor Jobs: immediately. Interested and eligible candidates are requested to send their application along with all required certificate copies to the email address given below or at the college address Given Below.